Welcome to Saint Philip Parish, a Roman Catholic Church, and a very active rural parish located in Melbourne, Kentucky, a small city nestled among the rolling hills along the Ohio River in Campbell County Ky. St Philip is a member parish of the Diocese of Covington and has about two hundred families registered. 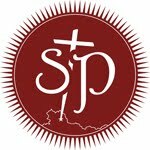 Saint Philip School is sponsored by the church, and has been in existence since 1909. It was begun and staffed by the Sisters of Divine Providence, who still reside on the property to this day. Our Pastor, Father Robert Rottgers, is a Campbell County Kentucky native. He is a generous and kindly man, willing to serve in any way he can as shepherd of the parish. He has his "feet on the ground," and is "comfortable to be with." Parish Life at St. Philip offers something for everyone. You can be as active within the parish as you like. 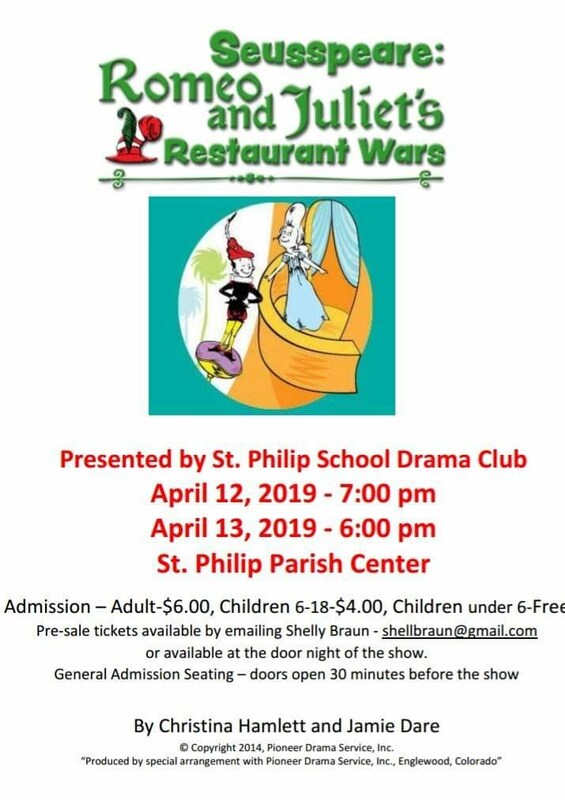 To learn more check out one of the many organizations Saint Philip has to offer, from the Altar Society to the Worship Committee, or Boosters to the Board of Total Catholic Education (BOTCE). There's something for you! Please come and attend one of Saint Philip's masses in our beautiful church and feel free to contact the school for more information on classes and registration. All are welcome. The KY Senate is now reviewing the budget and revenue bills passed by the House of Representatives. Email your State Senator today by clicking here or call 1-800-372-7181 and tell your State Senator that Scholarship Tax Credits must be included in the budget and revenue bills so that more Kentucky families can choose the school that best fits their children’s needs. 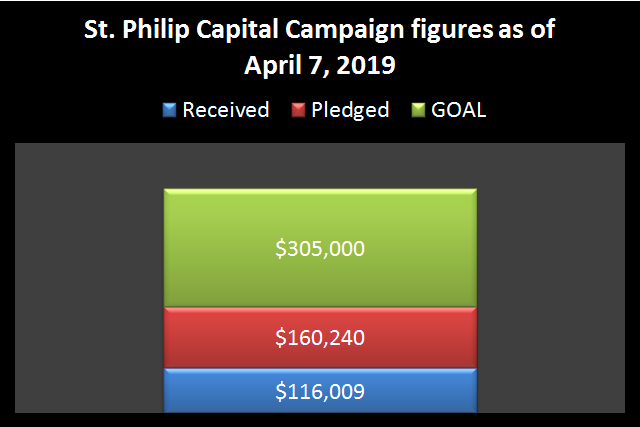 For more information and to find a Pledge Card, please visit our Capital Campaign page. April 14 - April 17 - Scholastic Book Fair in the Parish Center. Click HERE to order your books online. April 17 - Grandparent's/Special Visitor's Day: 8:30am mass with reception after. School dismisses at 11:30am. May 2 - Product Survey. Click HERE for more information. May 5 - May Crowning: This will happen between the 9:00am and 11:00am masses.